A deadly new threat enters Ghost Recon Wildlands this week, armed with powerful weapons, advanced stealth abilities, and more mandibles than seem strictly necessary. From December 14 through early January, the Predator will bring its unique skills to a special challenge that sees players (solo or with up to four players in co-op) hunting the creature—and being hunted in return. Defeating the Predator will be no easy task, but if players manage to take it down, they will be rewarded with exclusive items, including the Predator mask, which features Predator vision. To help you fully embrace your inner hunter, the Predator Pack (available in the in-game store) introduces 15 new customization items inspired by the original movie, including weapons and a new close combat move. 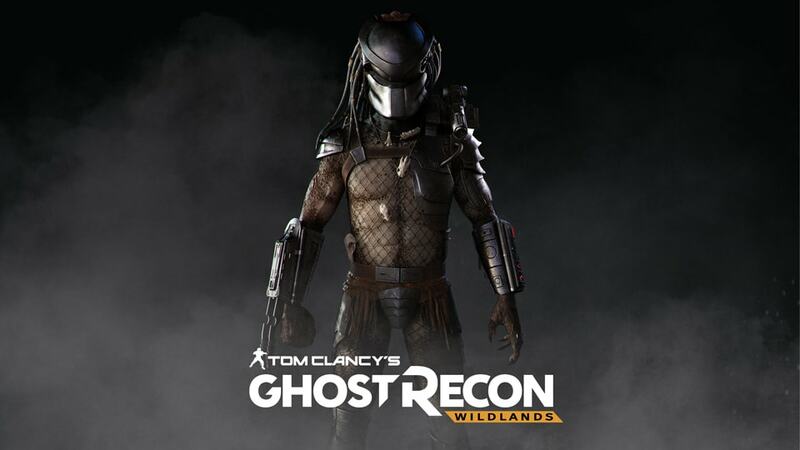 Ghost War, the free PVP mode for Ghost Recon Wildlands, will also get a Predator-inspired addition: A new class of soldier inspired by Dutch, the protagonist from the original movie, who can engage a battle rage mode to tip the scales in his favor. We got to chat with Abboud to learn more about where the idea to bring the Predator into Wildlands came from, and how they designed the hunt to capture the deadly tension of the movie. The Legends of the Wildlands have previously been rooted in the setting and history of Bolivia. What motivated you to look elsewhere for inspiration? The Legends of the Wildlands really began as easter eggs for the community. When we first saw videos of our players showing their passion, we thought it would be interesting to play up to their expectations, while at the same time building on the incredibly rich Bolivian culture. When our Fallen Ghost DLC was released, we were amazed by the feedback we got from the community members, who praised its more somber tone and its tactical approach. But what we sensed was that there had to be a Predator hiding somewhere, observing us in the jungle setting of the DLC. That’s where the idea originally started. How did this process even start? What did the team need to do first? When we realized in June that this year was the 30th anniversary of the original Predator movie, the coincidence was too great to pass up. We have a very good relationship with 20th Century Fox, and they were as excited as we were to let the Predator fight the Ghosts in an environment that fit their vision, so it was an exciting and fruitful discussion. Our team learned everything they could about the Predator, not only by studying the original movie, but also through exchanges between our artists and the creatives at 20th Century Fox. What was the reaction for the team when they found out they would get to work with one of film's most popular sci-fi characters? The entire team was ecstatic, especially the creative team in Montpellier. Our team appreciates the original Predator movie just as much as our community does, and everybody involved had a clear vision of the direction we could give to this special challenge. I have to say that Tom Isaksen, our lead character artist, has done a tremendous job of recreating the original Predator, taking care of every costume detail. It was a great challenge. What aspects of the Predator did you know you'd absolutely have to nail to convey the same suspense that's present in the movies? The mission is built to recreate some of the tension felt by Dutch and his crew in the original Predator movie. You first discover hints about the Predator’s presence before actually getting to meet and fight him. Getting that feeling of being swallowed by the surrounding jungle was something we really wanted to convey. And of course, the music takes a big part in creating the tension. 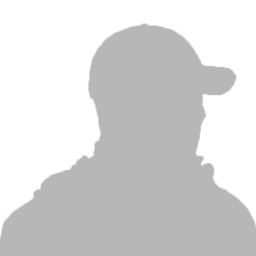 Along those same lines, what were the challenges in balancing the Predator's abilities with the systems that already exist in Ghost Recon Wildlands? What can the Predator do, and what do the Ghosts need to do to fight it? The Predator can run around, jump in the trees, taunt the Ghosts, and activate his cloaking device. Once he wants to engage you, he can use his Plasma Caster or his Smart Disc, depending on the situation. Being able to quickly react and always keep on your toes will be the key to defeating the Predator. How did you approach calibrating the difficulty level for this encounter? How much of a challenge are you throwing at players? We know that the Predator is the best hunter there is, and we really wanted our players to feel he was a great menace. The talented game designers in Montpellier tweaked the gameplay to make sure this would be the most difficult fight players could find in Ghost Recon Wildlands, especially when you approach it solo. To prevail, we think the Ghosts will need to work as a unit, so we advise our players to try out this challenge in four-player co-op with a lot of coordination and communication! Will the Predator ever try to blow itself up? That will be for you to find out.